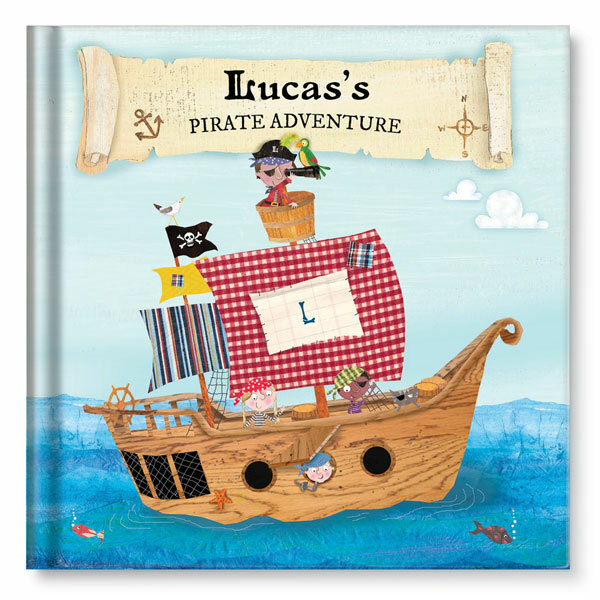 Make your little pirate the star of the story with this fully personalized adventure on the high seas. 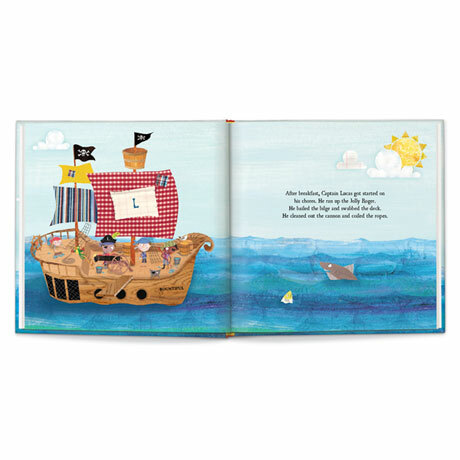 Your little pirate will delight in this adventure on the high seas in which the crew of a pirate ship swab the deck, eat breakfast in the galley, sing sea chanteys, use a treasure map, and dig up buried treasure, making it one of our best personalized gifts for boys and girls alike. Specify child's first name (up to 15 characters, 's automatically included - do not include in your entry), last name (up to 15 characters), gender, hair color, skin tone, and hometown (up to 15 characters) to make this fully personalized. Ages 2 to 8. 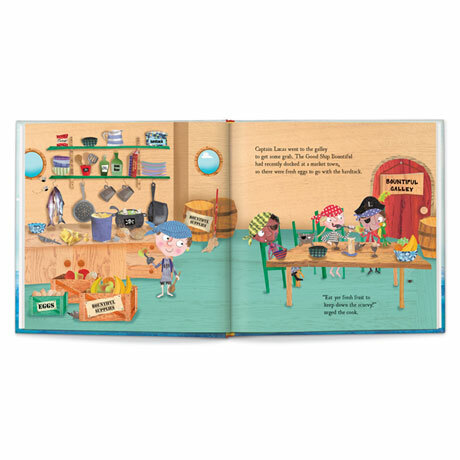 Hardcover book is 24 pages. Allow 3 weeks. No rush delivery or gift box. Made in the USA. Item can only be shipped within the Continental US.